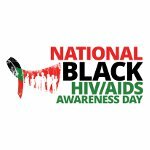 National Black HIV/AIDS Awareness Day (NBHAAD) has been observed on February 7 since 1999. This awareness day was founded by several national organizations funded by the Centers for Disease Control and Prevention. NBHAAD is a national initiative targeted at black communities in the United States. It was designed to encourage members of these communities to get educated about HIV and AIDS, get involved in community efforts aimed at prevention of the illness, get tested for HIV to know their status, and get treated if HIV-positive. The governing body of NBHAAD is the Strategic Leadership Council. The SLC encourages African American communities and organizations to get engaged by providing them with direction, guidance, and strategic thought. NBHAAD official website (nationalblackaidsday.org) offers to order NBHAAD materials or download the toolkit. On the site, there also is the list of events held by partners. NBHAAD events include, but are not limited to, HIV, STD and hepatitis C testings, workshops on HIV awareness, discussions, performances, radio broadcasts, PSA announcements, church services. Every year, the new theme of the day is chosen. For example, the 2015 theme was “I am my Brother/Sister's Keeper: Fight HIV/AIDS”.